Tanya Burr and Jim Chapman, the blogosphere’s golden couple, are married. But of course they did… Yes Tanya Burr and Jim Chapman, the blogosphere’s golden couple, are married and had the kind of Pinterest-perfect wedding that we all knew they would. Releasing the pictures of their big day on Instagram overnight, YouTube stars Tanya and Jim chose to say their ‘I dos’ at Babington House, the exclusive Somerset venue where A-listers Eddie Redmayne and Hannah Bagshaw married, as well as Millie Mackintosh and Professor Green. Attendees included fellow Vlog-stars Zoella (Zoe Suggs) and Niomi Smart, with the guest list totting up something ridiculous like 10million followers between them. Tanya and Jim got engaged three years ago and didn’t tell fans that they had even set a date for their big day, so understandably the internet went nuts when Tanya posted the first picture. Tanya’s wedding dress was lacy and classic, but had a little bit of drama courtesy of that pool train and sheer veil. The stunning dress’ bodice was scalloped with a wide neckline and mini cap sleeves. 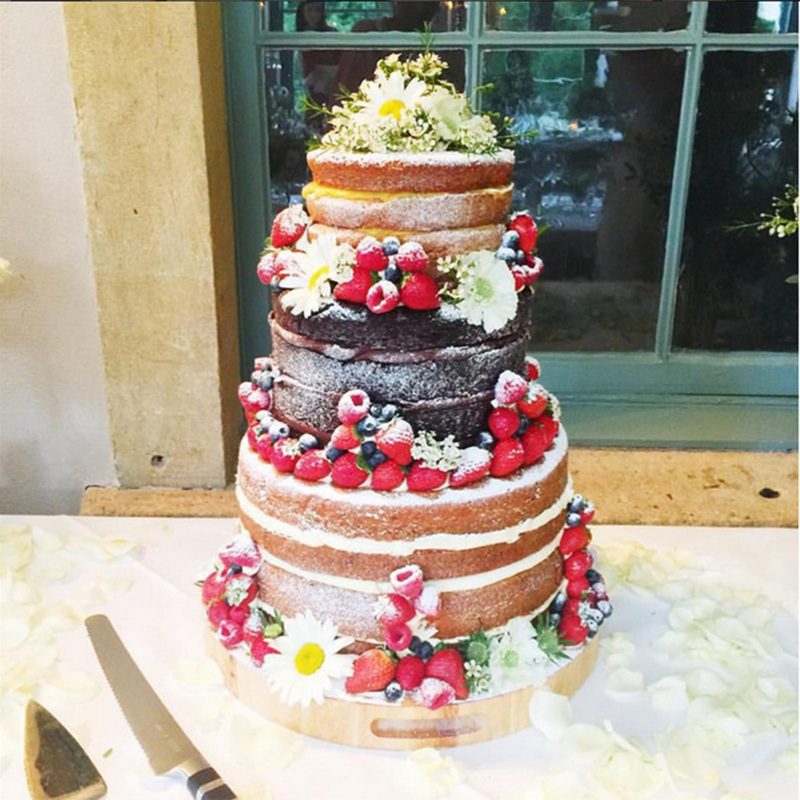 Every detail of the day was beautifully considered – from the flowers, to the place settings, to that incredible cake. See all the pictures in the gallery above. The weather (luckily) held out and Tanya was able to have the al-fresco setting of dreams for her vows – a flora covered alter with simple white chairs and a paved aisle. Guests stayed at the country mansion overnight, with festivities (read sack races and a barbeque feast) carrying on to the next day. 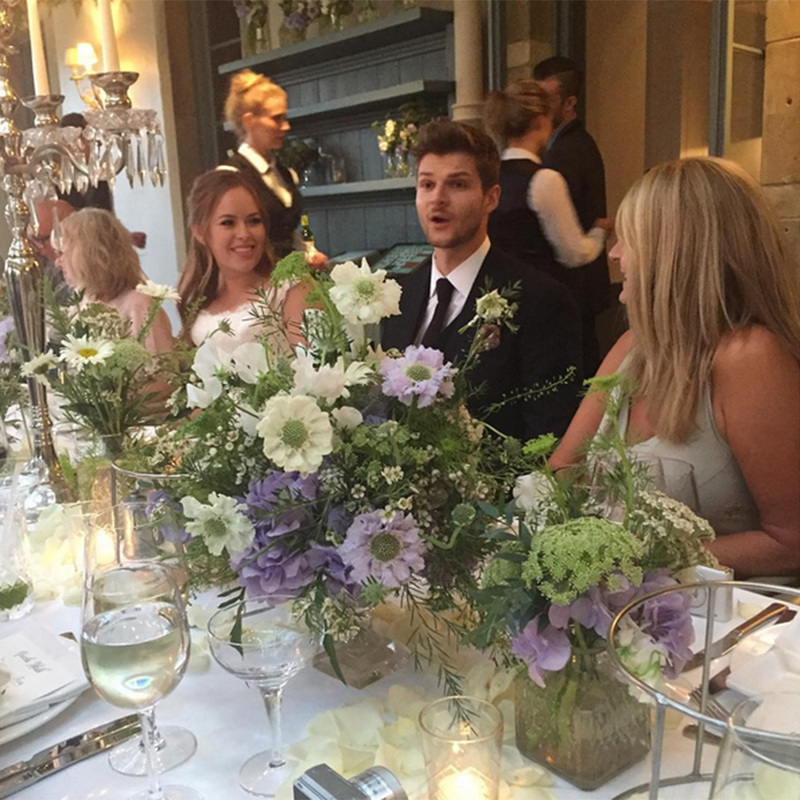 Congratulations to Jim Chapman and Tanya Burr on their fabulous wedding day.